CANTON, Mass. 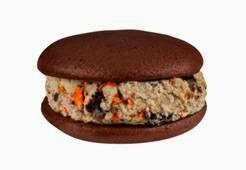 (October 1, 2013) – Baskin-Robbins, the world’s largest chain of ice cream specialty shops, today announced the launch of ice cream Whoopie Pies, an innovative twist on the classic All-American dessert, at participating locations nationwide for a limited time only. These customizable treats feature a delectable combination of chocolate cake with a guest’s favorite Baskin-Robbins ice cream flavor sandwiched in between, creating a fun-to-eat and delicious frozen treat. Guests can also purchase Whoopie Pie cake pieces as a take-home item along with a pint or quart of their favorite Baskin-Robbins ice cream, so they can build their own Whoopie Pies at home with friends and family. 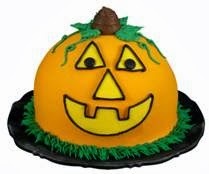 Pumpkin Patch Cake: New this year, this is one jack-o-lantern you will not want to leave on your doorstep. This creative dessert, decorated as a smiling pumpkin, will trick your guests and make a fun sweet treat at the same time with a guest’s choice of ice cream and cake flavors. 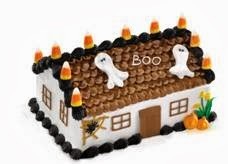 Haunted House Cake: Spook guests with a sweet treat! This tasty ice cream cake becomes a haunted house with candy corns, spiders and ghosts, creating a delicious Halloween for all. Pumpkin Pie Ice Cream: A cool way to enjoy the taste of fall! Rich and creamy, this pumpkin ice cream is sure to satisfy pie-lovers everywhere. Pumpkin Pie Milkshake: This frosty combination of rich and creamy Pumpkin Pie ice cream blended with milk creates a delicious fall treat. Pumpkin Pie Cappuccino Blast®: Pumpkin Pie ice cream is blended with real coffee, milk and ice and topped with whipped cream and cinnamon to satisfy your pumpkin and coffee cravings. In addition to festive pumpkin and Halloween-themed treats, every Wednesday through the end of the year, guests who purchase a “Build Your Own” Two-Scoop Sundae will receive another Two-Scoop Sundae of equal or lesser value for free. ** Baskin-Robbins’ classic Two-Scoop Sundae includes two scoops of a guest’s favorite ice cream topped with caramel, hot fudge or strawberry topping and is finished with a dollop of whipped cream, nuts and a cherry. Baskin-Robbins locations in the New York metro area will feature the Buy One Get One Free Sundae offer every Tuesday instead, and locations in Washington, Oregon, Montana and most in Idaho will not be participating. For more information about Baskin-Robbins’ range of ice cream flavors and frozen desserts, visitwww.BaskinRobbins.com or follow us on Facebook (www.facebook.com/BaskinRobbins), Twitter (www.twitter.com/BaskinRobbins) or Pinterest (www.pinterest.com/baskinrobbins31). **For a limited time, at participating shops only. Offer not valid on three-scoop sundaes, Banana Splits, Brownie Sundaes, Banana Royales, Soft Serve Parfaits and Kid’s Sundaes. Named the top ice cream and frozen dessert franchise in the United States by Entrepreneur magazine’s 31st annual Franchise 500® ranking, Baskin-Robbins is the world’s largest chain of ice cream specialty shops. Baskin-Robbins creates and markets innovative, premium hard scoop ice cream and soft serve, custom ice cream cakes and a full range of beverages, providing quality and value to consumers at more than 7,000 retail shops in nearly 50 countries. Baskin-Robbins was founded in 1945 by two ice cream enthusiasts whose passion led to the creation of more than 1,000 ice cream flavors and a wide variety of delicious treats. In 2012, more than 13 million ice cream cakes were sold in Baskin-Robbins shops worldwide. 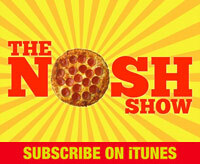 For the full-year 2012, Baskin-Robbins' shops had global franchisee-reported sales of approximately $1.9 billion. Headquartered in Canton, Mass., Baskin-Robbins is part of the Dunkin' Brands Group, Inc. (Nasdaq: DNKN) family of companies. For further information, visit www.BaskinRobbins.com.